New American Painters. Pacific Coast Competition. No. 61, 2005: 98-101. Ollman, Leah. 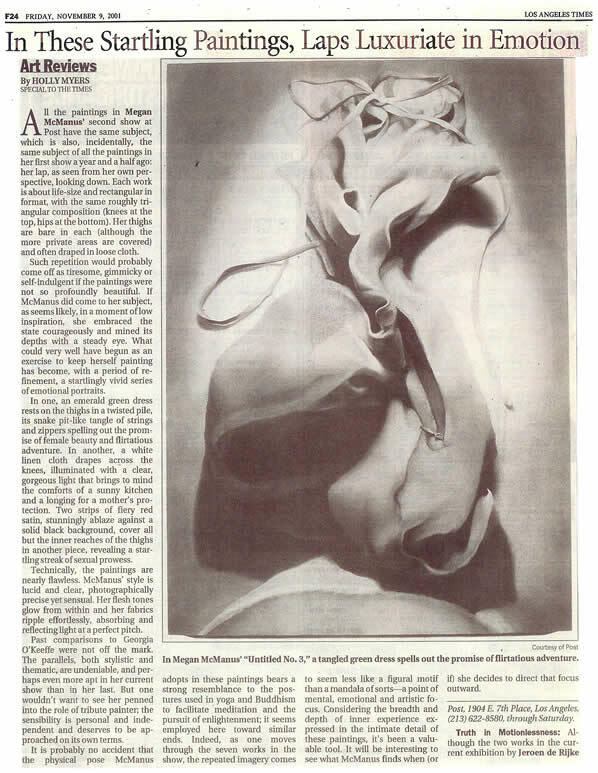 “Megan McManus at POST.” Art in America, (July 2002): 104. Myers, Holly. “10 Good Shows.” L.A. Weekly, 28 Dec. - 3 Jan. 2002. Vol. 24, No. 6. Myers, Holly. “In These Startling Paintings, Laps Luxuriate in Emotion.” Los Angeles Times, 9 Nov. 2001: F24.